Below are links to Sony and Minolta AF lens brochures and pamphlets. Some are not currently available by Sony for some reason, so I'm offering them here as a convenience. So far, all are PDF, and the file sizes are listed beside the blue link. The pictures of the brochure covers are not linked. This lens guide lists all available Sony lenses as of 8/09. It's available in four different languages. 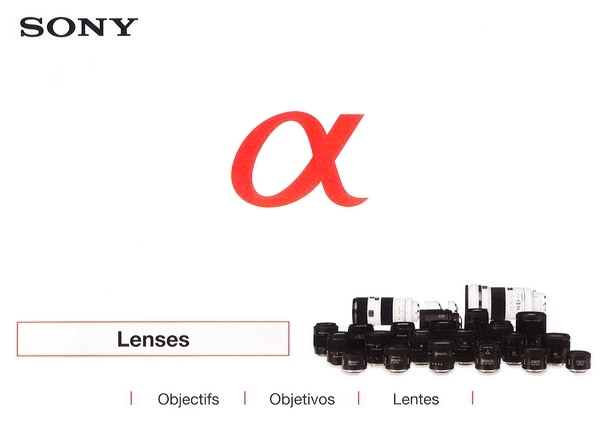 This Sony lens pdf catalogue is from 2012. 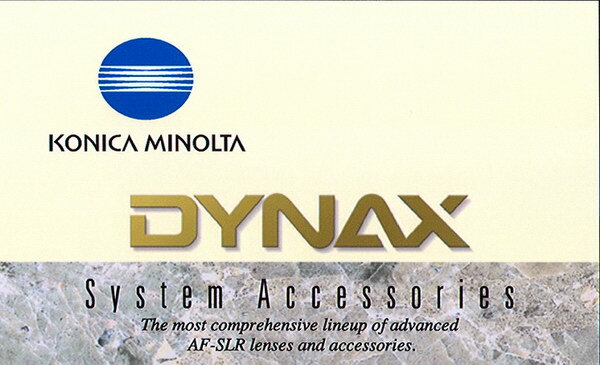 This Konica Minolta Dynax accessories guide is from 2004, and lists the current lenses for that time, and the use of special glass etc. It also covers flash units, vertical grips, meters and scanners at the bottom. English only.